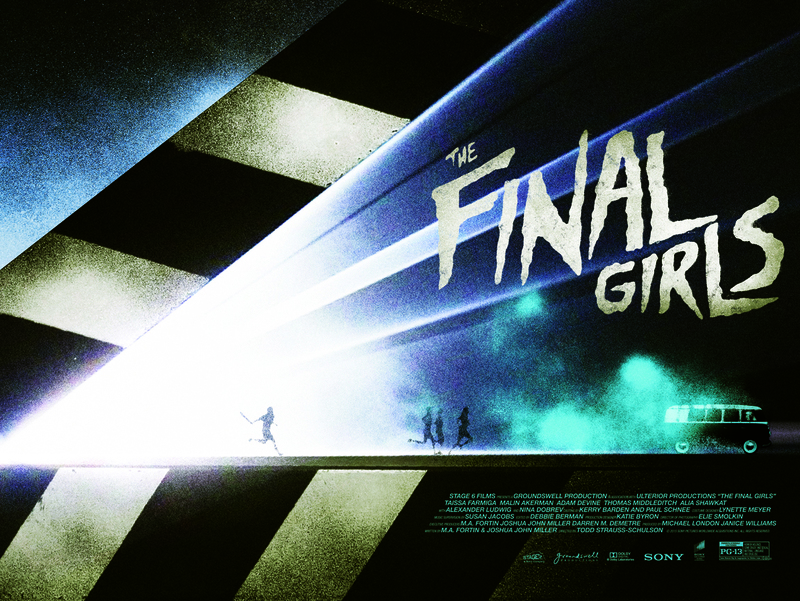 Mondo commissioned poster for The Final Girls directed by Todd Strauss-Schulson. An inventive and hilarious horror-comedy riff on typical slasher movie tropes. A young woman grieving the loss of her mother, star of an infamous 80’s horror, finds herself mysteriously trapped inside the cult classic movie during an anniversary screening. Reunited, the women must fight off the film’s machete-wielding killer.